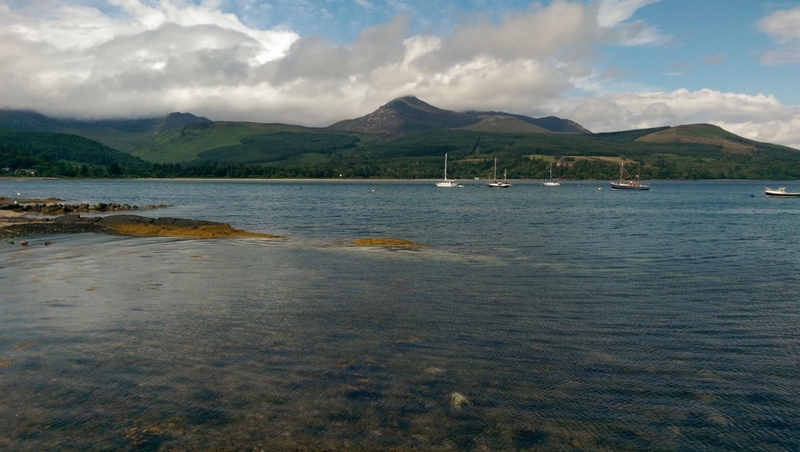 I love visiting the Isle of Arran and I try to visit at least once a year to explore the island. Calmac reduced their ferry prices last year and this has really helped make this possible for me and my family. I've visited for the day, a few days, stayed in a guest house, cottage and also camped. 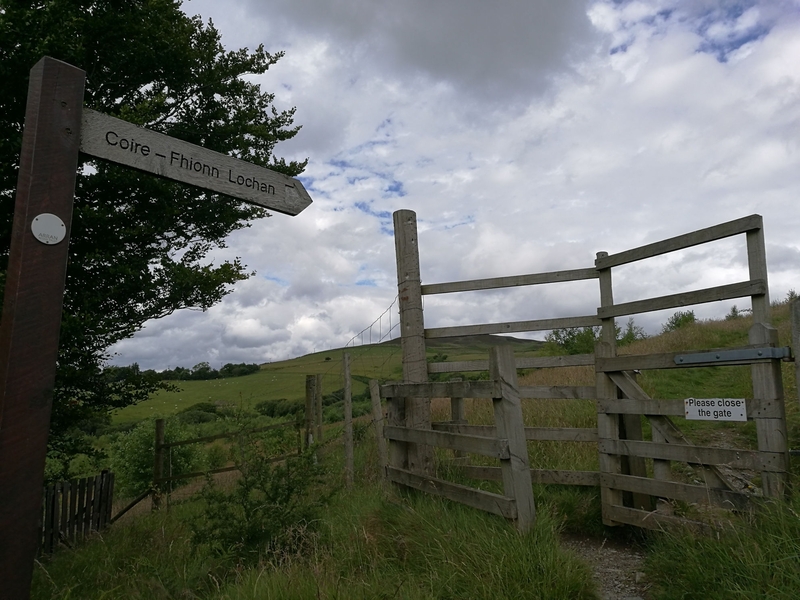 There's something for everyone whether it be cycling, walking, hiking, relaxing, shopping, history, eating or drinking. I've many more still to do! If you fancy looking at photos of some of these walks you can view these on my wee blog www.loveexploringscotland.com and also check out the Visit Arran website. 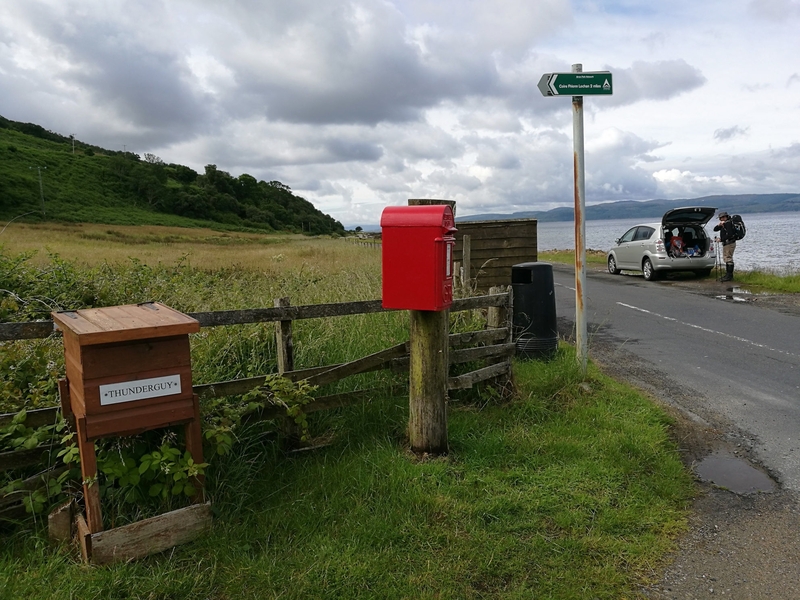 Over the years I've noticed how things are changing on Arran. It's a living island moving with the times and a great community to support it. I dream that one day I will retire there and all this splendor will be right on my doorstep . Arran really is Scotland in miniature with the highlands and the lowlands all in one little gem of an island. The only thing I can't guarantee is the weather ⛅. Lovely suggestions - don't forget other activities, such as sea fishing, gorge walking and all the watersports too! I must go back sometime - I really want to try some of the local food, and quite fancy the look of the Isle of Arran Mountain Festival. 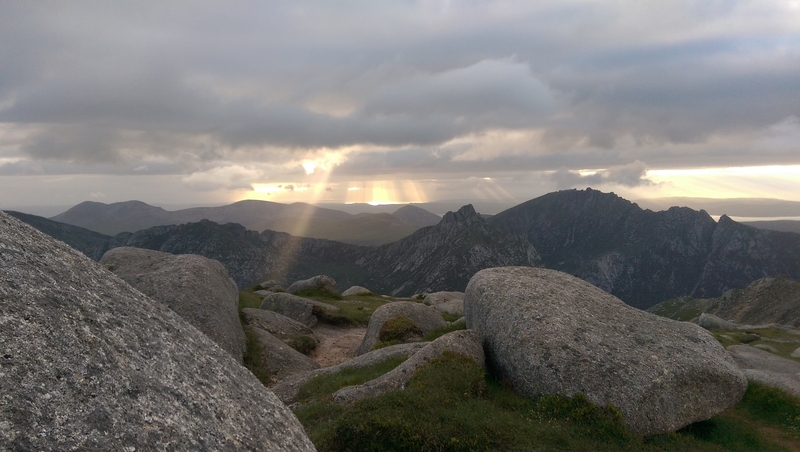 There are more tips about visiting Arran on the site too. I've only spent a day or two on Arran at a time, and absolutely love it. It really does showcase the best bits of Scotland - castles, glens, mountains, forest, beach, wildlife, standing stones and AMAZING food. I'm also a big fan of the Arran 14 single malt. Surely the distillery has to be one of the prettiest in Scotland? Lovely photo @TheChaoticScot ;and it is pretty . I've yet to visit the distillery and probably have a good twenty years worth of exploring still to do there! Have you seen this app yet? 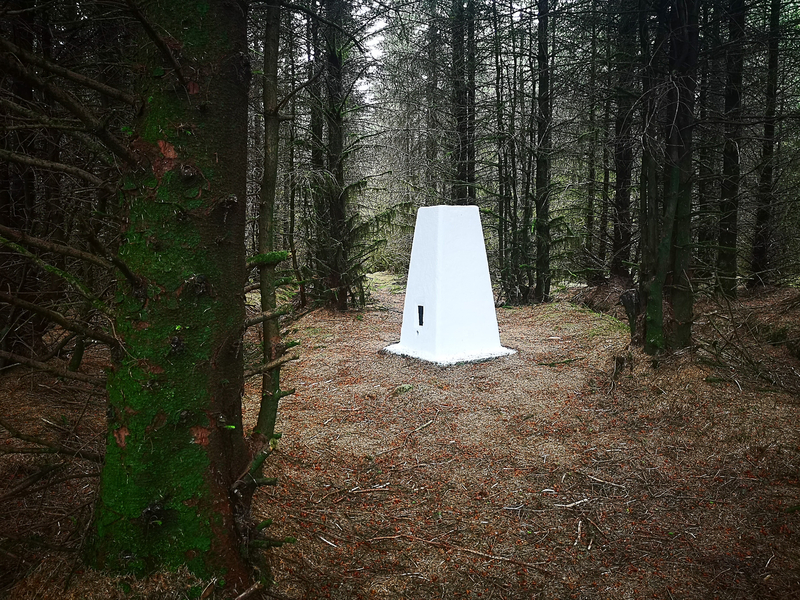 I created a wee story about Arran https://steller.co/s/5dtNG2quJ6h. There's so much more I could have added but it's my first one. It's a lovely way to capture your favourite walk, place in Scotland, anything really! Has everyone seen Visit Arran's tweet and Facebook post asking to help name the new Arran ferry? I'm thinking of visiting Arran this summer - although I was brought up on the west coast, I shockingly have never been! Where would you all advise on staying, and where would be best bearing in mind I won't have a car? I love Arran, as a die hard history geek it's heaven for me. Machrie Moor is awe inspiring with its huge, ancient standing stones. Such a magical place with its true purpose now lost in time. 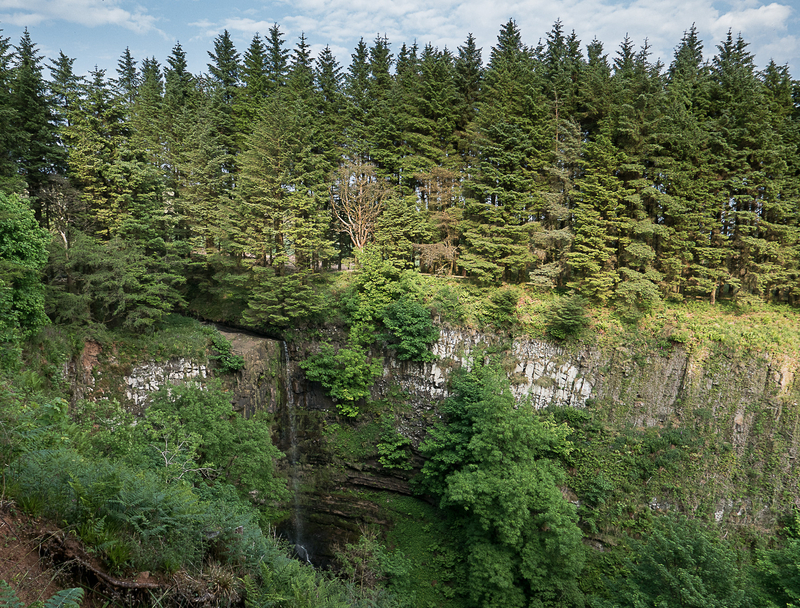 I also loved King's Cave, a lovely walk and the cave with it's ancient carvings and early tourist grafitti is fascinating. Another historical site I loved was Torrylin Cairn, a neolithic burial site. I love how the remains of the inner chamber corridor appear to align with Ailsa Craig. Coincidence? Even better @KarenSlight you can go back and visit and taste it straight from the creamery! I love going on the ferry and watching that view (on a clear day) of the Arran mountains getting closer and closer. I get super excited! 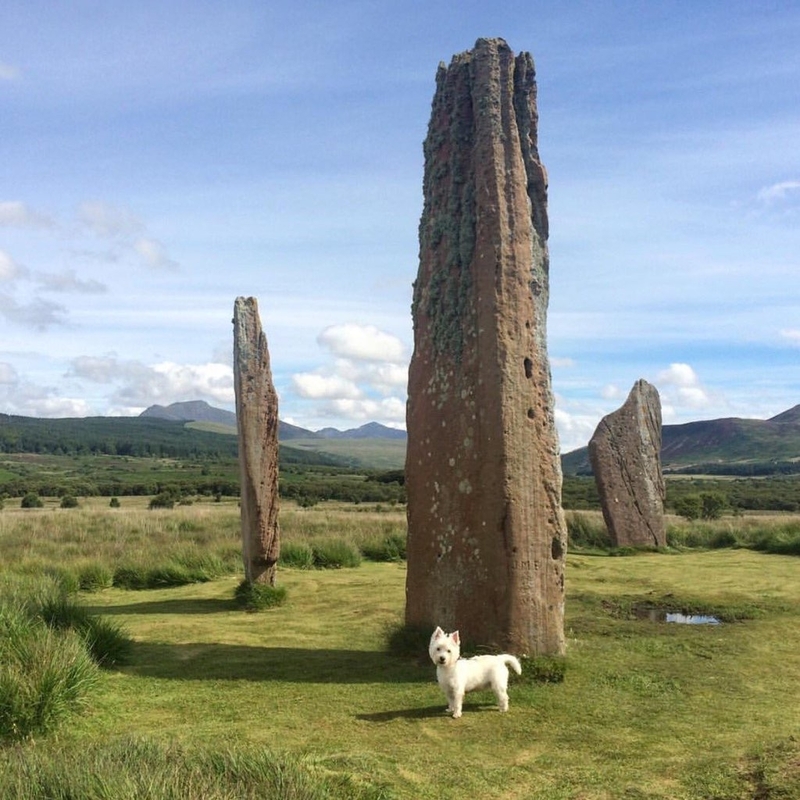 I was back visiting the Isle of Arran for the summer solstice! 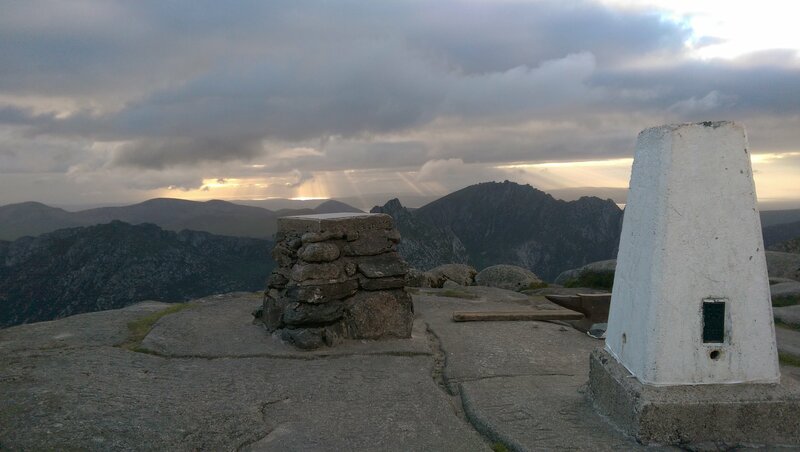 My fiance and I wild camped on top of Goatfell for the night. We caught some of the sunset and a late morning sunrise. It was the most challenging and rewarding adventure I've ever experienced. 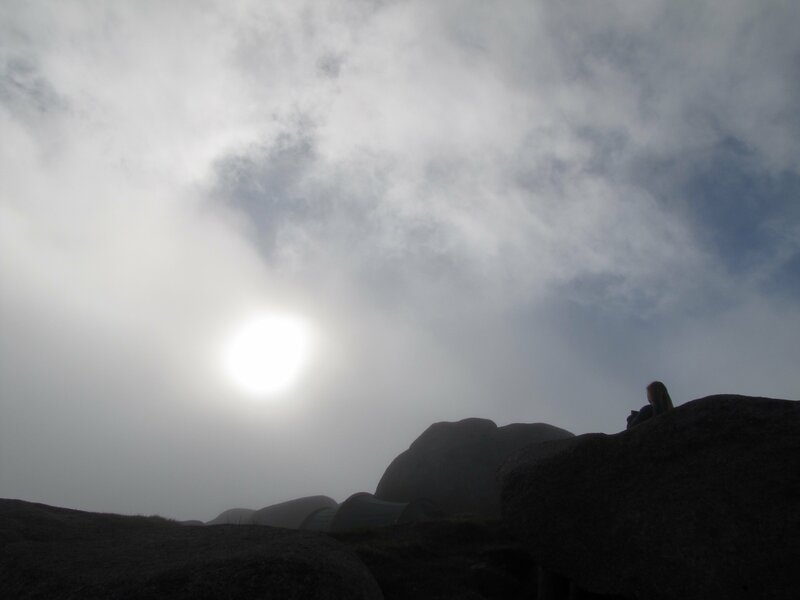 Being on top of a mountain late at night and early morning lets you experience it's magnificent unpredictable beauty. Here I am again, back visiting Arran for a wee day out and new walk to explore with my fiance and 12 year old daughter. We visited on Tuesday 5 July 2016. Coire Fhionn Lochan is located in the north west of the island at Thunderguy (also known as Thundergay) near Pirnmill. We brought our car over and parked right across from the start of the walk, but you can also get the bus here and ask the driver to let you off. It's mostly an uphill walk of two miles. But it's two miles of pure loveliness! 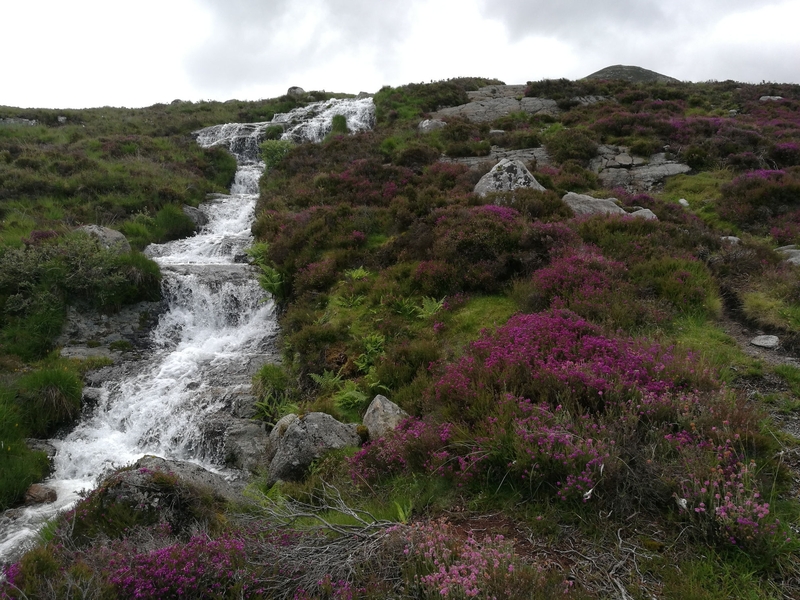 The terrain felt a bit like hiking up Goatfell with a steep start, flatish middle section and steep rocky steps near the end. 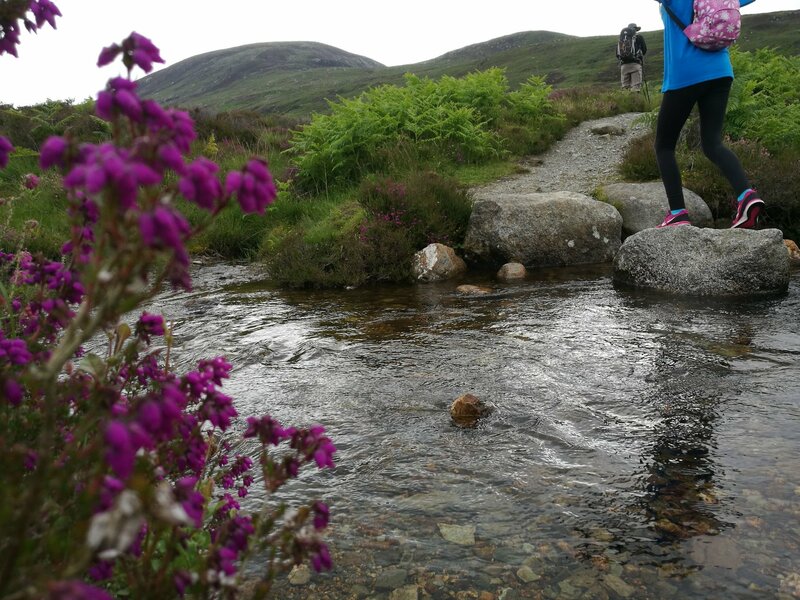 This would be a great first time test of your hiking ability before trying Goatfell which is a three and a half mile hike. I was interested to see how my daughter would manage and I'm pleased to say she passed with flying colours. So Goatfell could be on the agenda again! We walked through a gate, climbed a style (gate option too) and crossed a stepping stone. Crystal clear waterfalls complimented our walk most of the way. The white bog cotton was still around but starting to wither slightly. It was time for the purple heather to take over in colour and how pretty is it. 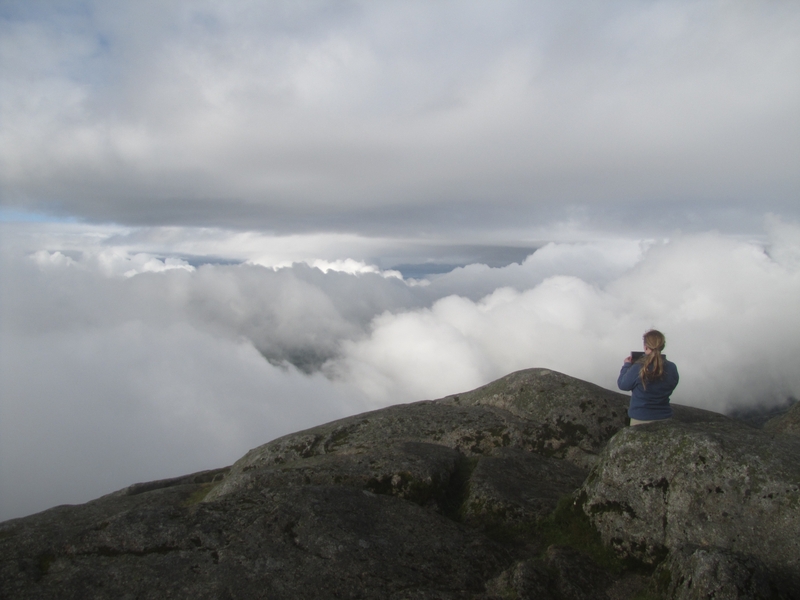 When the cloud cleared and we reached a higher point we could see across to the Mull of Kintyre and Isle of Jura. I had an idea of what the loch was like as other explorers had told me about it and it did not disappoint. When we reached the top the loch just appeared, sitting amongst the mountains with beautiful white gravel beaches scattered around. This is the most beautiful loch I've seen on Arran so far. We made our way round to the far away beach as the closest beach was enjoying the company of another family. 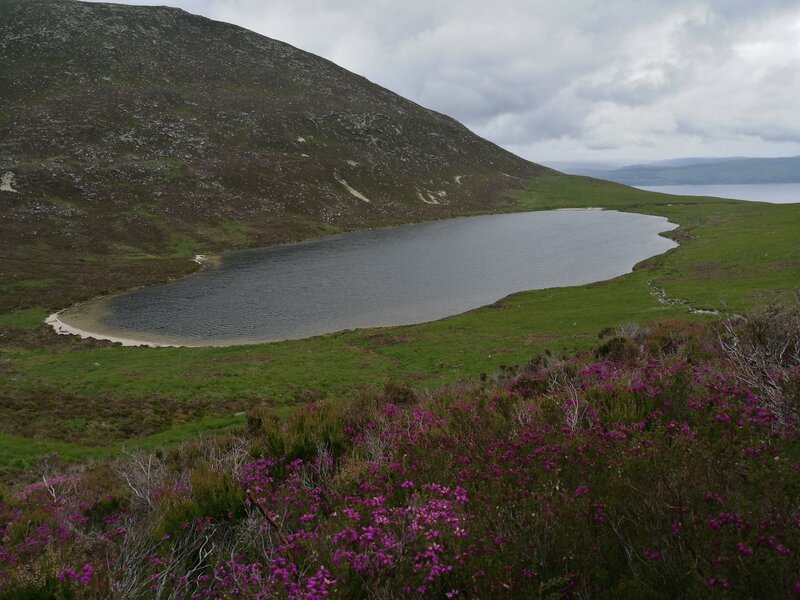 You can also walk up over the ridges around the loch to see more impressive views. I only walked up a short way up to capture a photo of the loch. If anyone is ever thinking of hiking Goat Fell on the Isle of Arran, but doubt if you can, at least give it a try. Go as far as you can. You'll probably find that you will reach the summit if the weather is kind. 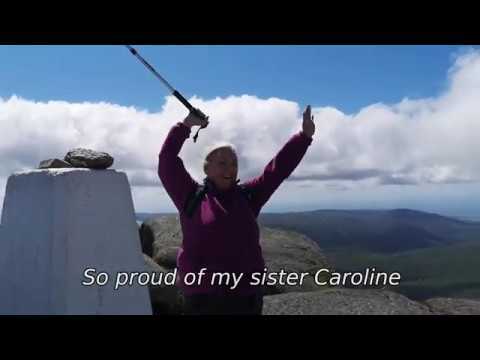 I took my sister up Goat Fell this week, her first time hiking a mountain. We had no expections to reach the summit as she hadn't trained for it. We just kept going with lots of stops. Even though her legs were sore she did it! We met so many lovely people hiking that day, all of them encouraging and wishing us luck. Yes, we were slower than them, but it didn't matter, we still reached the summit and was rewarded with the most stunning views. It's strange to find a library in the woods. It's not just books you'll find either. 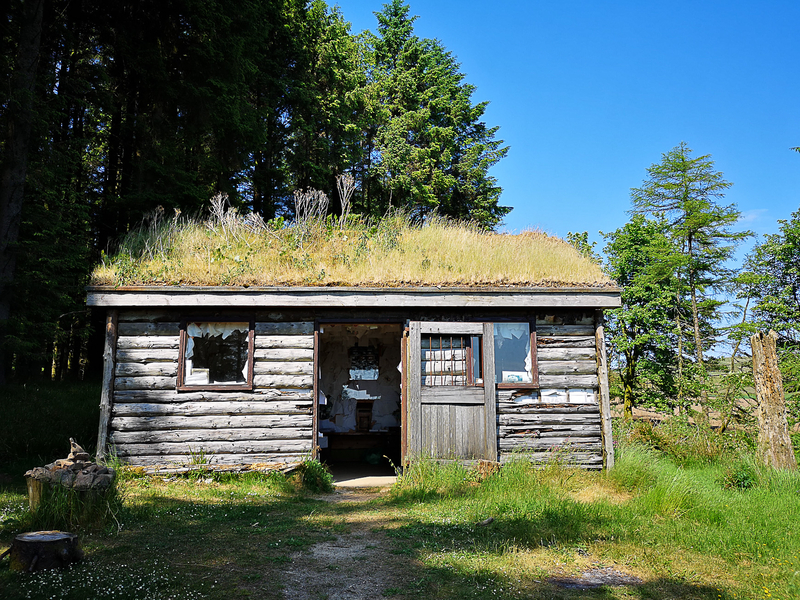 What really touched me were the messages of love, life, appreciation and memories pinned all over the cabin. There's a visitor book that you can sign also. 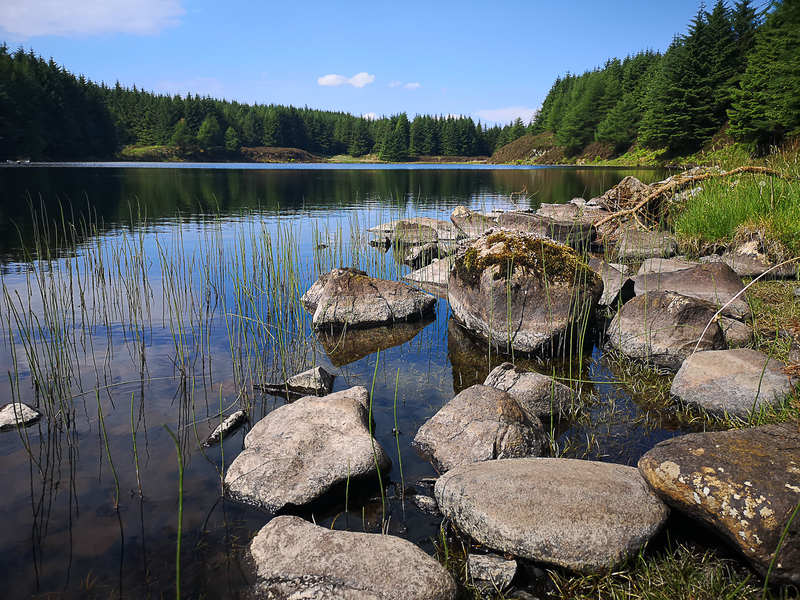 Beautiful small loch! It's an uphill trek but worth it. 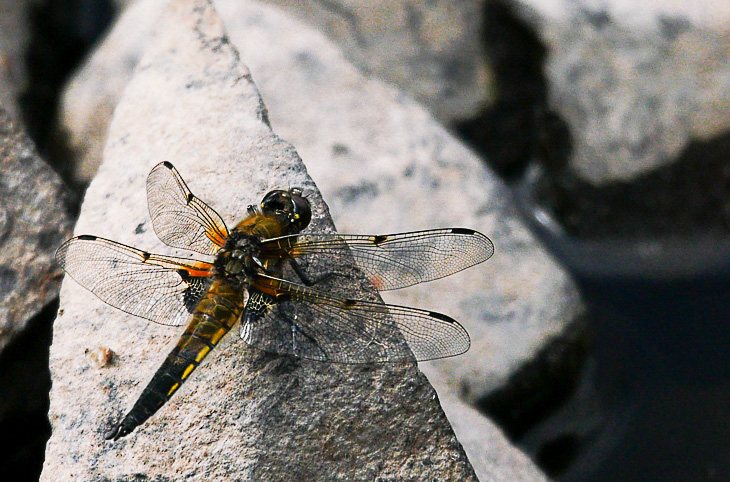 Dragonflies were everywhere. 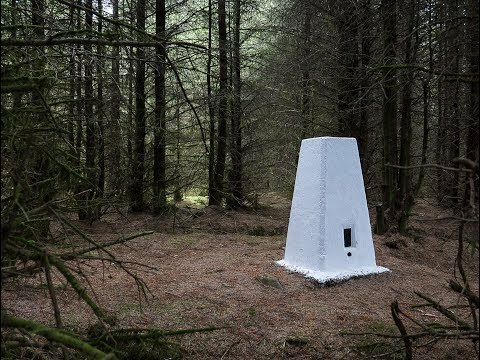 We also looked for a hidden trig point in the woods. Strange and spooky setting! One of 17 we want to find on the island. 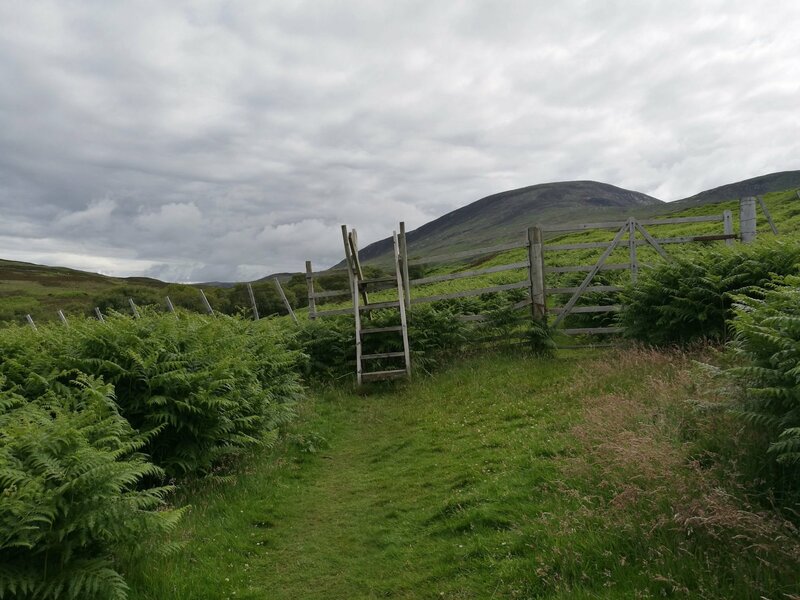 The walk is near Kildonan in the south of the island. 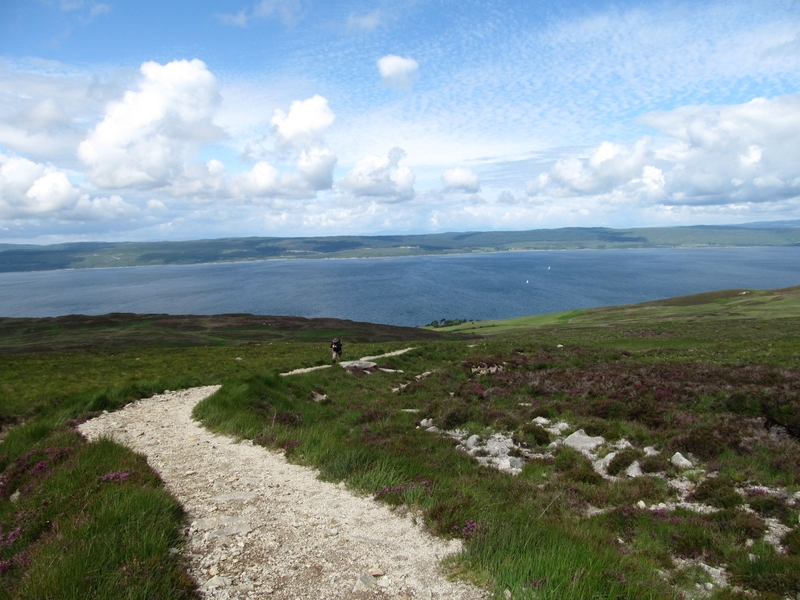 You'll find it listed in most of the Arran walking books or on the Walkhighlands website.